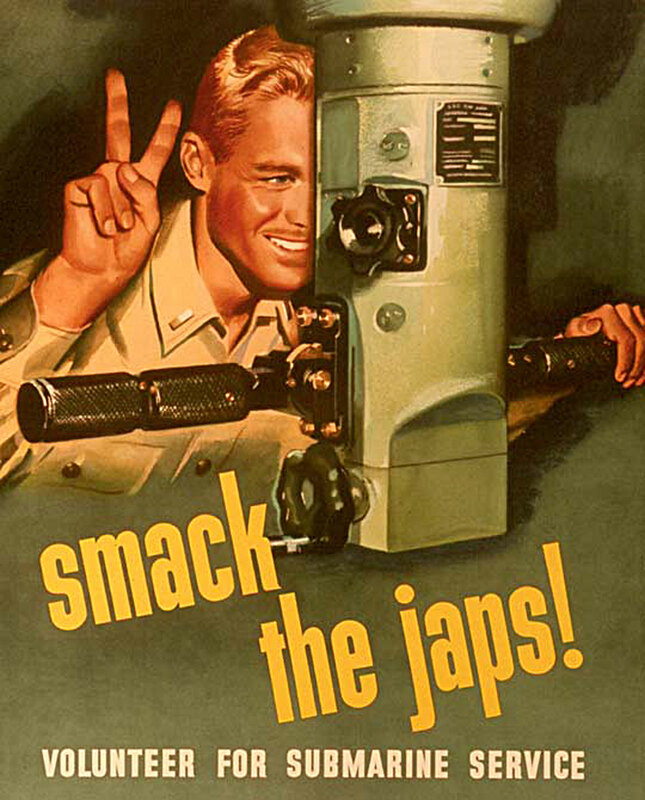 WWII Poster "Smack The Japs"
"Smack The Japs", or any other submarine related items. Sorry Pete, I copied this off the internet. It's a Reply to Fred. HOWEVER, Now the viewers can see what it is that you are seeking. May help you find what you're seeking. Thanks Tom...good idea, you never know!!! Wow, didn't know Errol Flynn was a submariner...! Flynn was an Australian; obtained US Citizenship in 1940. Attempted to enlist in US Military and was rejected due to a weak heart. He died age 50, of a heart attack.